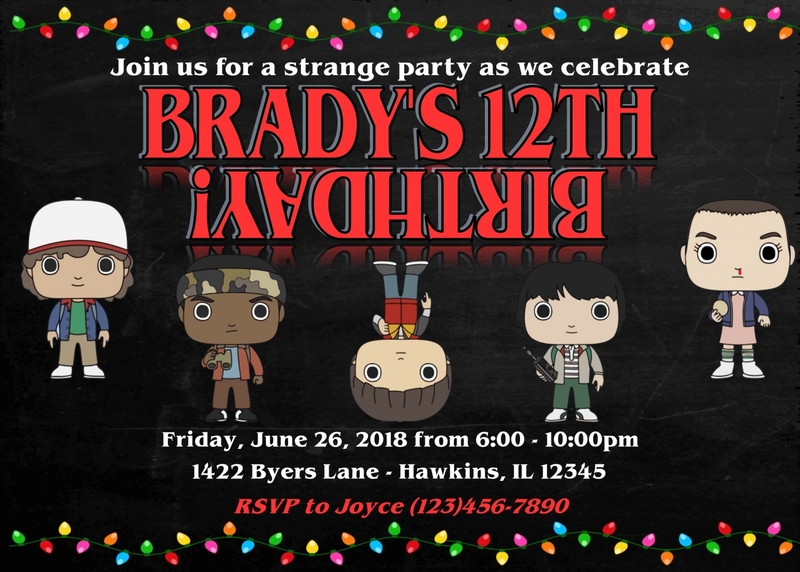 Having a Stranger Things Birthday Party? These invitations are the perfect way to invite your guests to your party! 2. During checkout in the notes section tell me all the wording that you want on your invitation. 3. Within 24 hours I will email your file to you. You can tell me any revisions you need until you're 100% happy with it! If you're using Vista Print for printing just let me know since I need to format your file a little differently to print. Any questions at all, just contact me!